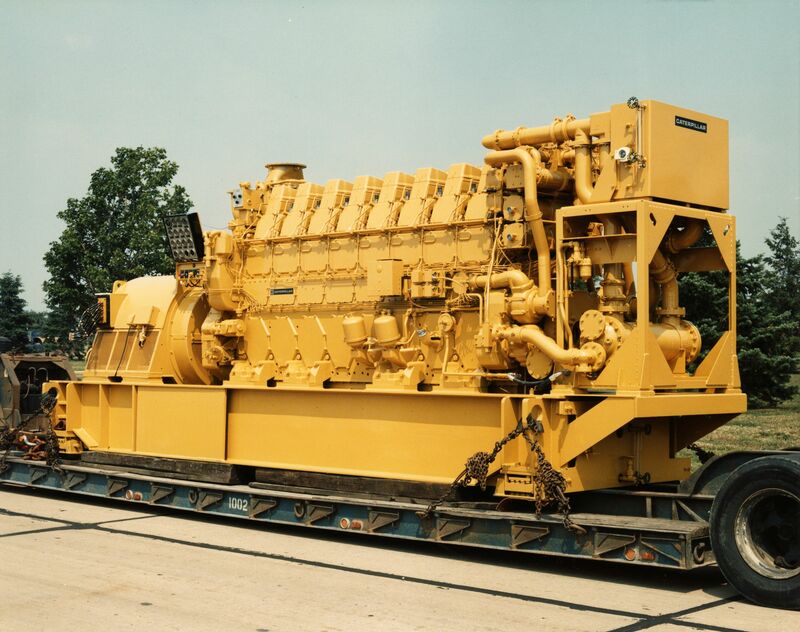 Photograph depicts large Caterpillar engine on flatbed. Road in foreground, trees in background. Accompanying note reads: "MTCE 4-01 (b) Cat 3612 Engine". Item is part of the Cassiar Asbestos Corporation Ltd. fonds. Image is one of four, see also items 2000.1.1.3.14 - 2000.1.1.3.18.17. Original accession no. : 2000.1.0972.010 or 2000.1.0972.011 [this photograph came from box 972].